Ever wonder what job seekers do when their country’s economic future becomes the focus of a global guessing game? If Greece’s latest debt crisis is an indicator, they start considering a move. Culling job search engine Indeed’s data for Greece-based users, we found that in the first half of July 2015 an average of 32 percent of their searches were for jobs outside of Greece, almost twice the share in the same time period in 2014 and over three times the global average as we reported in a study from last year. Furthermore, we found that in eight of the 21 broad occupation categories, over 50 percent of Greek job searches are going outside of the country. That compares to just three occupations in 2014, showing just how powerful a debt crisis can be for a country’s labor market. What is most troubling about the exodus of job seekers from Greece, especially for the long-term future of the country, is the type of workers who are looking overseas, namely: computer scientists, mathematicians, architects, educators, and other high-skilled laborers. Based on our research, of those occupations where over 50 percent were looking out of country, many are associated with above-average levels of education, training, and experience. This potential loss of some of the most productive workers in the labor market could have long-reaching effects on the Greek economy and could mean lower economic growth well after the debt crisis is over if these workers do not return. It could also mean substantial skills shortages and additional challenges for employers trying to fill key positions. One of the largest gains in share of searches abroad by high skilled laborers was in one of the world’s most important fields: computer and mathematics. Of that pool, we found 51 percent of Greece-based job searches were directed to other countries. This is compared to only 31 percent in 2014. 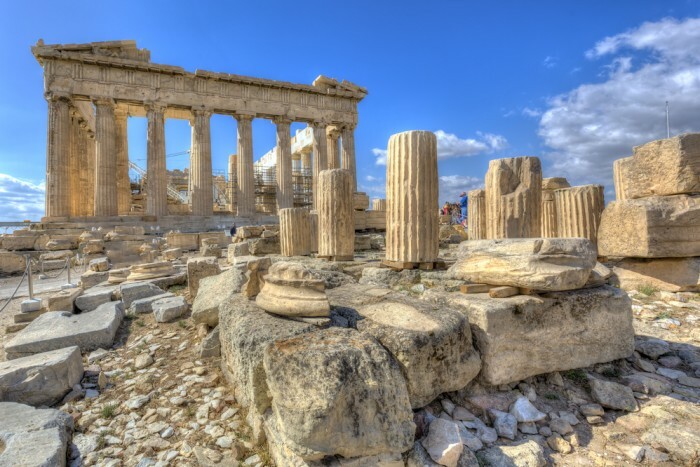 Perhaps even more dramatic, over 67 percent of searches for architecture and engineering coming from Greece today are for jobs in other countries. There is a need for people with computer and engineering skills across the globe, so these groups, once looking abroad, are likely to find opportunities to leave Greece. We also found that the occupations that have particular appeal to the younger generations (per our study on generations) had substantial increases in searches abroad: community and social services and education, training, and library occupations. The high proportion of searches abroad in education-related jobs is an unfortunate signal that, in addition to losing high-skill labor, Greece may be losing teachers who would train future generations of talent. The only occupation in Greece where the share of searches abroad decreased was healthcare support, indicating workers in that field may feel a sense of job security despite the crisis. This is not surprising, considering healthcare is generally a local product. But despite the fall, the share of searches abroad in this field is still greater than 50 percent. Furthermore, the highly skilled healthcare practitioners, such as doctors and nurses, are searching abroad in great numbers (over 85 percent), which threatens the availability of healthcare in the country. Of course, not all emigration is necessarily bad. Workers abroad often remit earnings back home and some return with more experience and education. Furthermore, given the high unemployment rate in Greece, it may help ease demands on Greek government unemployment benefit payments if people find employment abroad. It’s also of course hard to pinpoint what exactly is causing people to look abroad. For some, it could be the threat of leaving the European Union and economic security. For others, it may be the fear of austerity measures they believe will cripple an already struggling labor pool. The top destinations for Greece-based job searches abroad are the UK, the U.S., and Germany. No matter what the cause of the increase in Greek job searches abroad, Greece’s financial situation is not the only deficit it needs to address in coming years, because without its skilled workforce, it may be that much harder to get back on track.